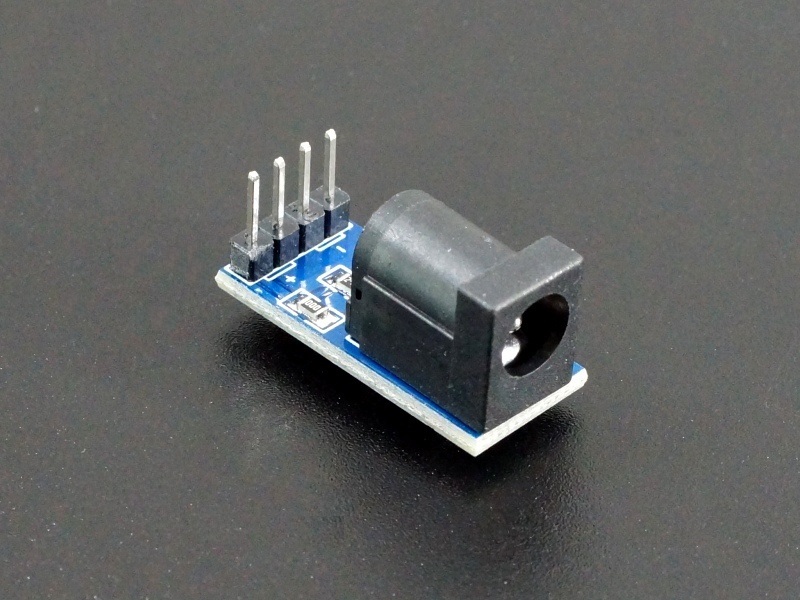 This small DC Power Adapter Module accepts a standard DC power plug such as from an AC adapter and brings the power out to a header for easy hookup to a breadboard. Modules don’t get much simpler than this. 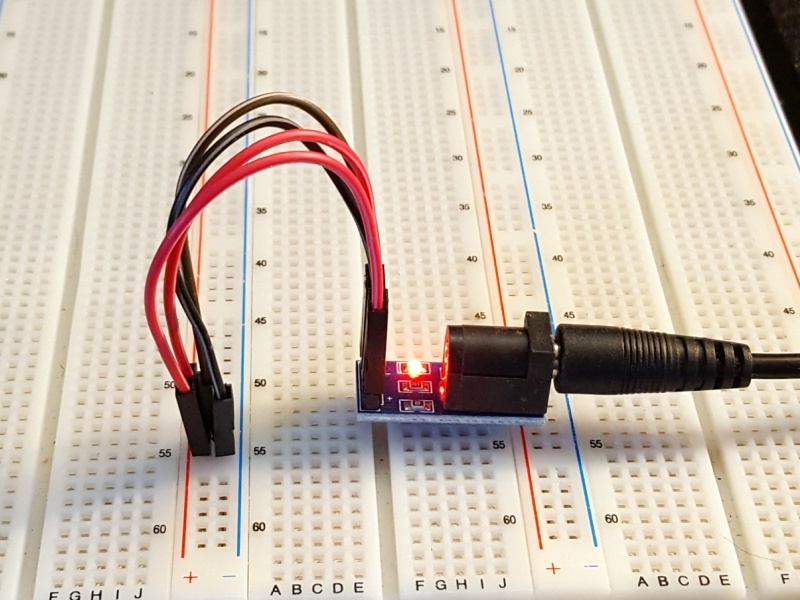 This module provides an inexpensive and convenient way to adapt any standard DC power plug to a breadboard such as if you have a 5V AC adapter that you want to use to power your breadboard directly or you want to bring in something like 12V to power a motor driver. The power and ground are brought out to a 4-pin male header. There are 2 pins (‘+’) for the power and 2 pins (‘-‘) for the ground which allows you to double-up the jumper wires if a fair amount of current will be drawn from the module to minimize voltage drop across them. 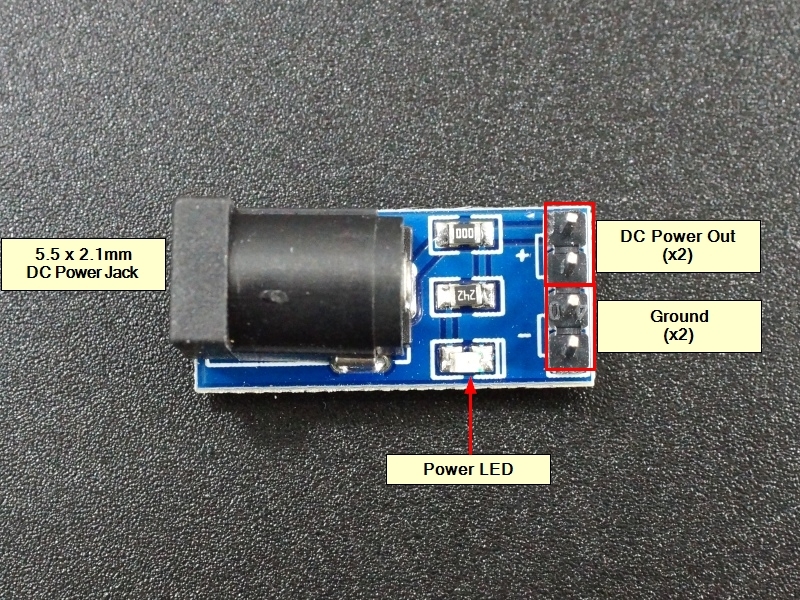 The power input has a zero ohm resistor in series. 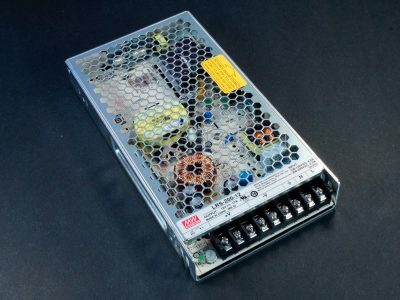 This could be replaced with something like a ferrite bead or diode if desired for some applications. 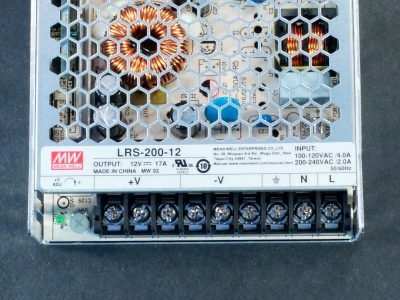 The on-board LED has a 2.4K series current limiting resistor, so it can safely handle higher voltages. 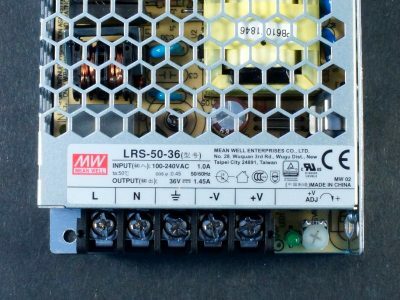 The Mean Well LRS-50-36 is a single output switching power supply that provides 36V @ 1.45A. 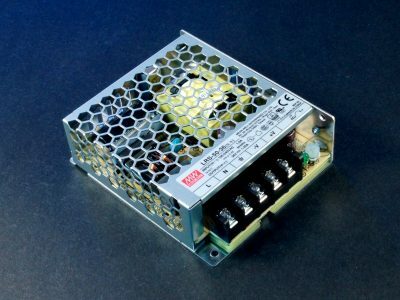 The Mean Well LRS-200-12 is a single output switching power supply that provides 12V @ 17A. 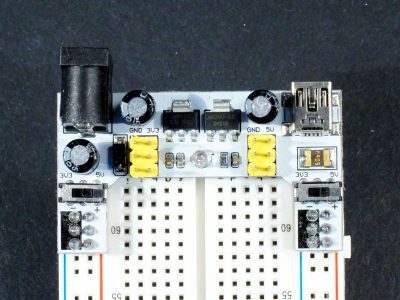 This solderless breadboard power supply module provides 3.3 and 5V directly to the breadboard power rails.